Wayne, Pa. (October 25, 2017) — Tekni-Plex, Inc., a globally-integrated manufacturer of packaging materials, medical compounds and tubing, announces the promotion of Glenn Fish to chief operating officer. Previously, Fish was chief financial officer and executive vice president. During his three-year-tenure with the company, Tekni-Plex has achieved consistent year-on-year quarterly earnings growth and has completed six strategic acquisitions. “Glenn’s leadership abilities have been instrumental in helping our company achieve significant profitable growth. In addition to driving growth and synergies through acquisitions, he has helped reduce our borrowing costs and realize improvements in our management information systems. With Glenn in this newly-created position, I will be able to focus on accelerating our mergers and acquisitions activity, as well as enhancing our new product development efforts,” said Paul Young, chief executive officer, Tekni-Plex. Under the new structure, the company’s general managers and managing directors will report to Fish, as well as procurement, manufacturing engineering, safety and environmental teams. Young will continue to oversee human resources, finance, legal, sales and marketing and corporate development. Prior to joining Tekni-Plex, Fish served as senior vice president, chief financial officer and corporate secretary with Portola Packaging, Inc., a global supplier of plastic closures and containers for the food industry. 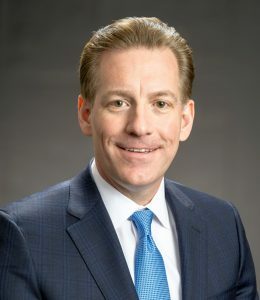 Before that, he spent 12 years with Alcan Packaging where he served in numerous finance, general management, and leadership roles, including vice president – finance, and vice president – strategy and business development, Food Packaging Americas. Earlier this year, Fish was named 2017 Plastics News CFO of the Year.